The Olympic Flame Comes to Bolton! Today the Olympic flame arrived in Bolton. The town has been preparing for months! 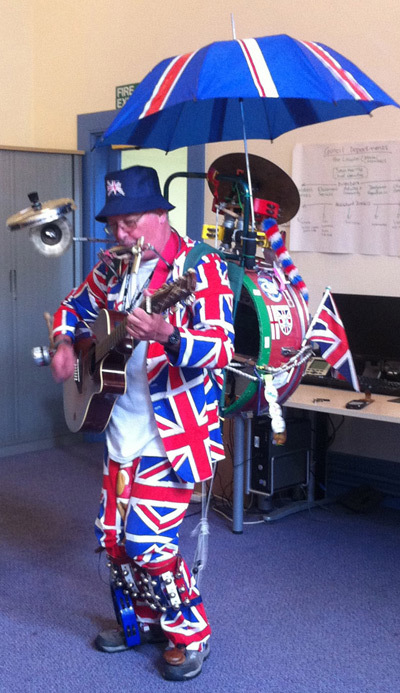 This week Bolton town centre has become awash with union jacks and has been bedecked in bunting. 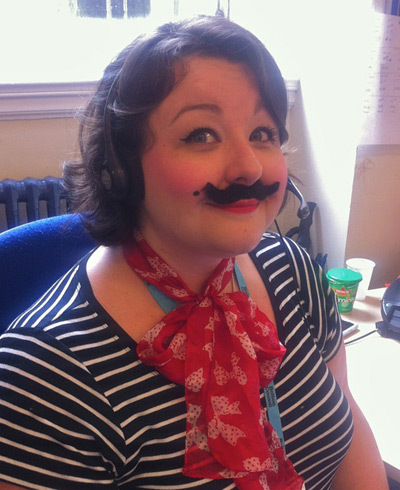 At work we like to go to town on events like this, and try to do a spot of fundraising while we're at it. Today's event was in aid of Hope Hospital's Haematology unit. 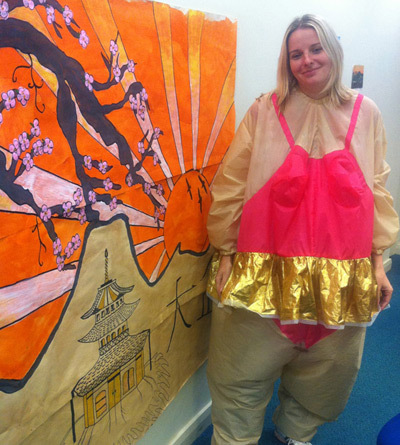 One of the ladies I work with recently lost her sister-in-law to Leukaemia, so we were keen to do what we could. 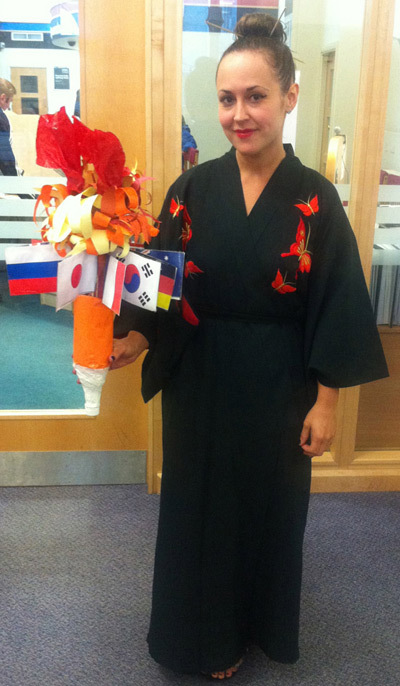 Each team were given a country to base their desk decorations on. The office looked fantastic! Buntings everywhere, pictures, people dressing up, our own torch relay, a raffle, a bake sale and a guest appearance from Crackerjack host Stu Francis. It was all going on! It was intended for the bake sale, but in the end it became part of the raffle. Fate is a right funny bugger, and I ended up winning it! My friend Gail bid £20 to take the cake home for her step-son's birthday, so the cash went straight into the fund. Preheat your oven to gas 3/160 C.
Grease and flour a 10 inch bundt tin. I used a stadium bundt tin for the occasion! Sift the flour, sugar and bicarbonate of soda into a large bowl. Add all the eggs and stir in. Add the sour cream and stir again. Now use the mixer! Beat on a moderate speed for about 3 minutes. Add the banana and the extracts and beat for a further minute. The mixture will now look pale and fluffy. Note: don't worry that the flour will be over mixed. The sour cream seems to lighten the mix and the finished product is firm enough to hold its shape, but not at all tough. Pour into your tin and bake for an hour and a half. My tin was shallower, so mine only needed about an hour and 15 minutes. As always, you know it's done when the cake is brown on top, firm to touch, the sides of the cake shrink away from the tin and a skewer comes out clean. This allows you to use pretty much any tin! (always check progress at about 40 mins). Allow the cake to cool for exactly ten minutes (set a timer) and then turn it out. It will shrink a little more as it cools - don't panic! 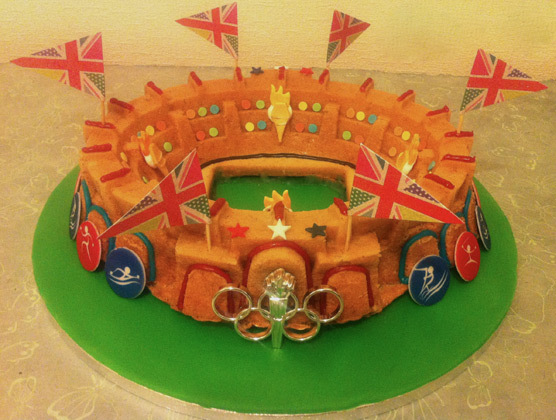 I decorated mine with sweets, flags, icing and general Olympic paraphernalia! Here are some pictures of the event too! 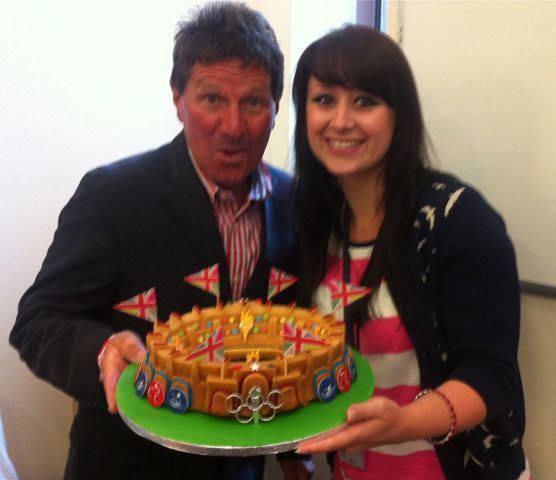 Me with Stu Francis and my Olympic stadium bundt! We raised over £240 for our chosen charity. Well done folks! Last month Laura from Laura Loves Cakes and I set a new Blogger Challenge called Calendar Cakes. 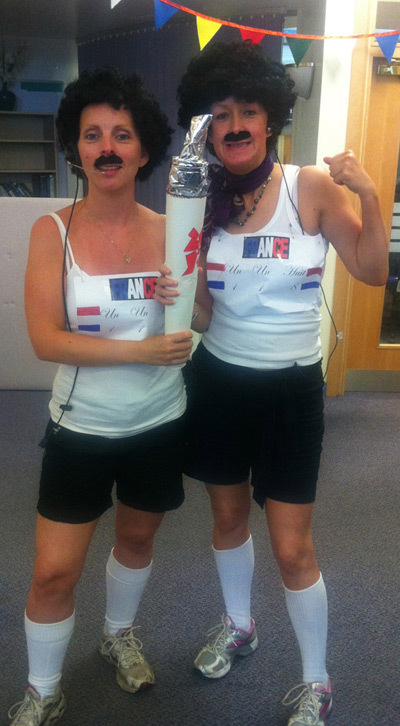 July 2012's theme is the Olympic Games. Perfect! So here's my entry! Bloggers: Please respect the fact I am sharing my own ideas and recipe. Blood, sweat and many tears have gone into getting this right, so you may enjoy a perfect bundt. If you wish to re-blog a recipe from these variations, please credit my blog and link to this original post rather than pasting the recipe on your own page. Please see my Creative Commons Copyright information for more details. Thank you. Meal Planning Monday - Heatwave Edition! Hell fire it's been hot! For the first time in yonks, it's actually put me off eating. Really. I know the weather has threatened to cool off a little this week, but I am still planning some lighter meals as I've heard it's still going to be warmer than usual. So, here's what I'm plotting this week! Monday: Deli Style Hot Dogs - barbecued chiploatas served with Tracklements onion marmalade and melted Lancashire cheese. I'll serve about three thin sausages in each bun. This is a nod to one of my favourite meals ever from Thyme Deli (incidentally, you can buy the onion marmalade from there!). The marmalade is really sweet and sticky, but not overpowering. Tuesday: Roast chicken, vegetable cous cous and Vicki's grandma's potato salad. I'm not a lover of leaves, so this is my perfect substitue! My friend Vicki makes the most amazing potato salad ever, which I believe was handed from her grandma. It's a favourite in our house as well now! Wednesday: Venison burgers with chipotle chilli cheese on a bun with skinny fries. Thursday: Turkey breast with vegetables. Healthy tea before a week of gluttony. Friday: We're both off work on Friday, so will probably pop somewhere for lunch and therefore skip an evening meal. Sunday: I have no idea what we're up to on Sunday! But, I have decided to leave this open as it's Jubilee weekend! 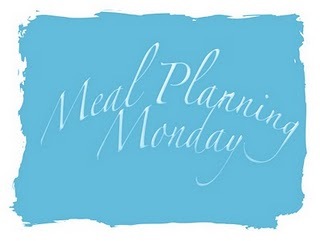 I've linked this post to Mrs M's - have a look at all the other Meal Planning Mondays! They've done it again. Marks and Spencers know how to make me part with my cash. From the tempting party food to the cute table decorations! 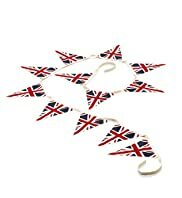 Here are some of my favourites from their Jubilee collection. 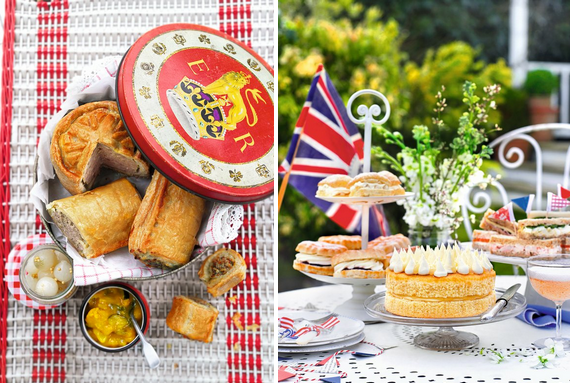 Where have you got your Jubilee goodies from? I nearly weed when this arrived. This has been one of the books that I have been looking forward to most so far this year. I adored Jo on the Great British Bake Off. She was so sincere and real, you felt every mishap with her, and relished in every triumph! My mum (the polar opposite to what you could call a 'baker') had Jo tipped to win from day one. She loved the fact she was a normal mum who found herself on the telly! Girl done good. What is really nice, is that Jo has obviously collected these recipes and amended them over the years, and each has a little story. For example, her Apricot Loaf 'started off as a soaked sultana loaf that my Auntie Helen has made for as long as I can remember' and her Easter biscuits are a nod to her nan's friend Rosa who made them with her as a child. 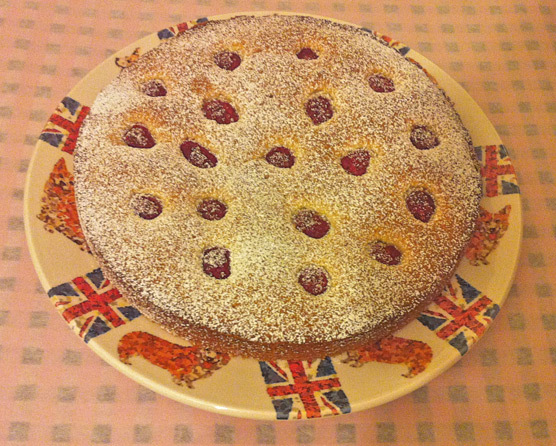 I was drawn to this cake by it's pretty appearance, and because I fancied something with fresh fruit in it. 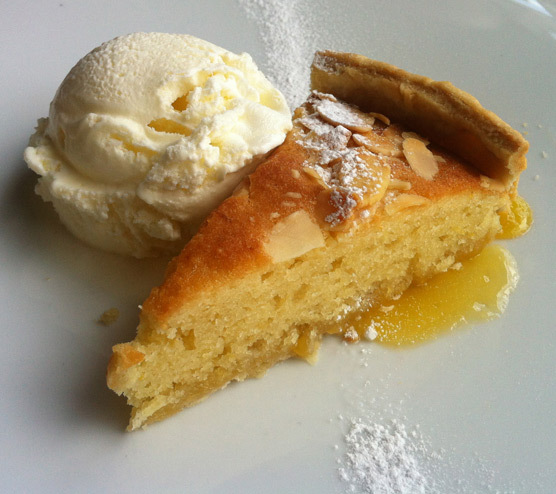 I'm a sucker for Bakewell tart, so this seemed the perfect light summery option. Apologies for the slight yellow tinge on the photographs, but the kitchen was still bathed in light from yesterday's lovely sunset! I could have made anything from this book. I know that this will be one of my staple 'bibles' for may years to come. Jo's book is available exclusively at Sainsbury's at a bargainous price of just £8 - yes... just eight British notes! Run to buy one pronto! 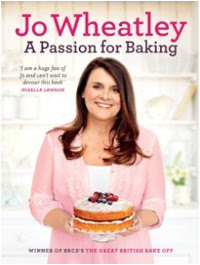 The next series of the Great British Bake Off is due on our screens mid 2012. Cannot actually wait!!! * Petal is my pink mixer. Yes, I know that's crackers. Thanks. Disclaimer: I reviewed this book because I really loved watching Jo on TV, reading her blog and talking to her on Twitter. She is genuinely one of life's lovely people, and happens to be a bloody good baker! I received no payment from the publisher for doing so. Read more about the author at Constable & Robinson Ltd.
All special occasions deserve a special cake. I did consider doing something tastefully decorated in a red, white and blue theme... and then I thought... nahhh! I was originally going to make this for the June Clandestine Cake Club, but decided to do it a little earlier. As today has been hot as hell fire I decided against plain vanilla and opted for a tropical fruit bundt cake recipe. Now. I know it's as camp as a row of tents, but I just had to use the corgi dog flags, gold paint and pink diamantes. I am well aware that it is probably in bad taste, but in my experience most souvenirs are! 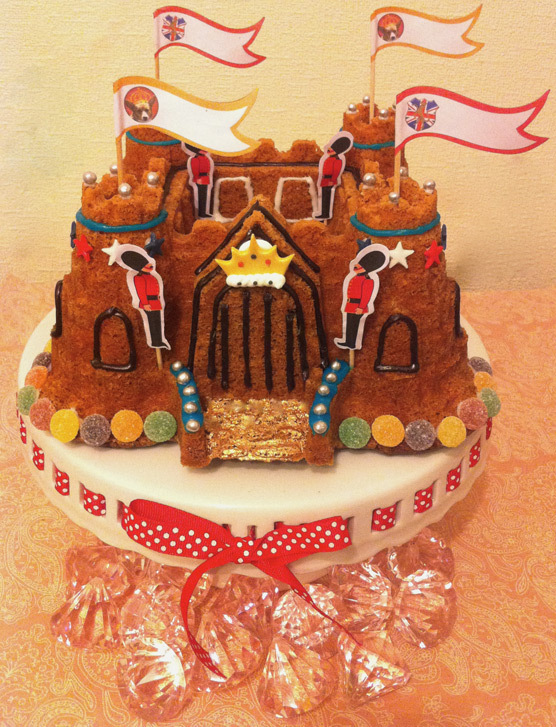 Here's how to make your very own Jubilee Castle! Preheat the oven to gas 3/160 C.
Grease and flour a 10 inch bundt tin - I've used a castle, but any design will work just fine. Soften the butter for a couple of minutes by beating it on a medium speed. Add the caster sugar and beat for about 5 minutes on a medium speed - you need to get plenty of air into this one to help it fill the tin. Add the eggs one at a time. Sift the flour, bicarbonate of soda and salt into a separate bowl. Cut up the dried fruit and toss it in the flour mix to cover. Fold half of the flour mix into the main mix. Add half of the yogurt. Repeat until all the flour and yogurt are mixed in. Give a quick mix for about 10 seconds on a medium speed. Pour into the tin, taking care to push the mix into all the nooks and crannies! Give the tin a good whack on the floor or worktop to release any air bubbles. Bake for an hour and ten minutes, or until the cake is shrinking away from the sides of the tin and a skewer comes out clean. Because of the detail, this cake needs to be removed from the tin ten minutes after coming out of the oven (otherwise it sweats... really). Do this by popping a plate on top of the cake and flipping it over. Decorate however you wish. 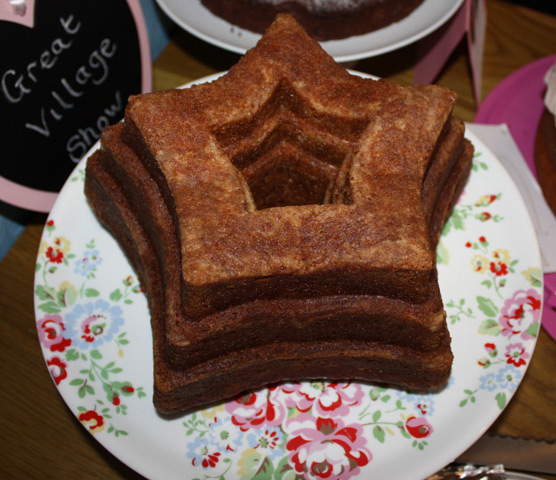 A bundt is for life, not just for the Jubilee! 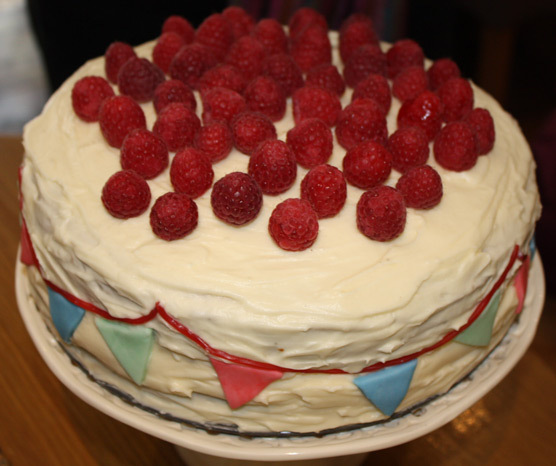 This is the cake I made for the last Clandestine Cake Club Bolton. Our theme was The Great Village Show, so I wanted to make something with traditional English produce, so I opted for good old apples! 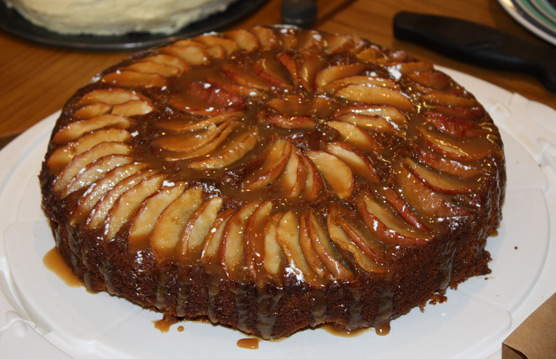 This cake is slightly spiced and very moist, owing to the sweet syrup drizzled over the cake after baking. 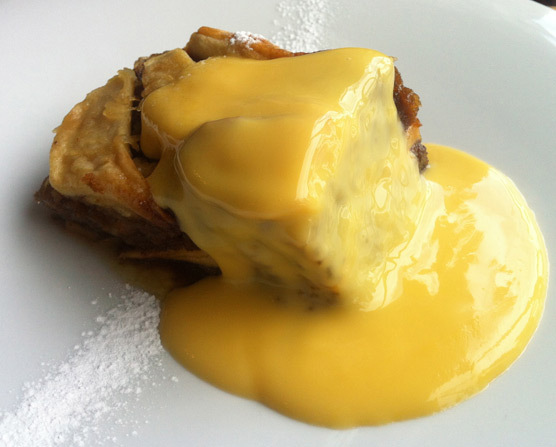 It can also be served warm with custard or ice cream. Grease and flour a 10 inch bundt tin. Peel all the apples and grate using the side of the grater with the largest holes. Sift the flour, baking powder, bicarbonate of soda, salt and spices into a bowl and put to one side. In a separate bowl, whisk together the eggs, caster sugar and brown sugar for 3 mins on a medium speed. Leave the mixer on and start to pour in the oil, whisking as you go! Mix for another 2 mins. Add the grated apple and vanilla extract (if lots of juice has come out of the apples, leave that out - this depends on the apples!). Mix on a low speed until the apple is well distributed in the mix. Fold in the flour mixture in two lots. Be careful not to overmix. When it is nearly combined, give it a quick mix with the mixer for about 10 seconds on a low speed. The mixture will look a bit fizzy - don't panic! Pour into your prepared bundt tin, taking care that mixture has been pushed into any nooks and crannies! Bake in the middle of the oven for about an hour and fifteen minutes, or until a skewer comes out clean and the cake is shrinking away from the sides of the tin slightly. Note: the cake is going to look very dark (see above). It's ok! Sometimes tiny bits might even burn. 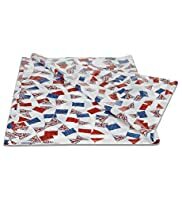 These can be removed after cooking if you wish, but does not ruin the taste or texture of the cake. Brownie's honour. 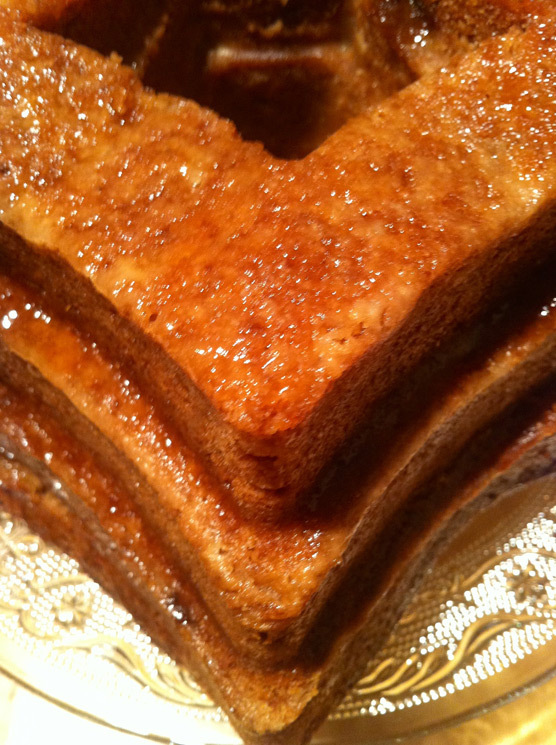 When the cake is out of the oven, make the glaze by warming the maple syrup and butter in a small pan until the butter is melted. At this point, turn up the heat slightly, and allow it to boil for about a minute. Take off the heat and add the vanilla extract. Although the cake is still warm, it needs to be taken out of the tin - I know this goes against my usual method, but trust me! It's a nice firm cake and it needs to be warm to absorb the glaze. Turn the cake out onto a wire rack and brush all surfaces with the glaze, using a pastry brush. The result is a super-moist cake! It will keep for a couple of days in an air-tight container. Meal Planning Monday - First Ever! 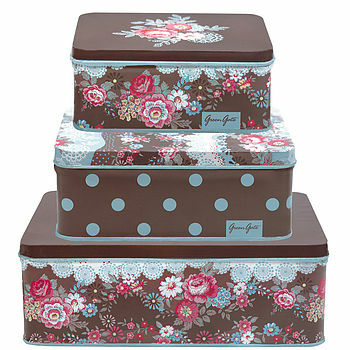 I am a pretty organised person in most areas of my life; work, cake club, fundraisers etc. However, this is generally at the expense of my diet... Bad planning. I have put about a stone on in the last year. Bad times. I spend a fortune on food that we end up wasting. Bad finance. If left to decide when I open the fridge, I often opt for nothing, then find I am hungry like the wolf late at night. Bad habit. Tuesday: Out for tea at Teacup in Manchester. Wednesday: Healthy home made tandoori chicken with pilau rice, bombay potatoes and naan. Just a quick one to remind you that the May edition of Living in BL is out now! Thank you to Denise and co for printing more of my cakey rants! 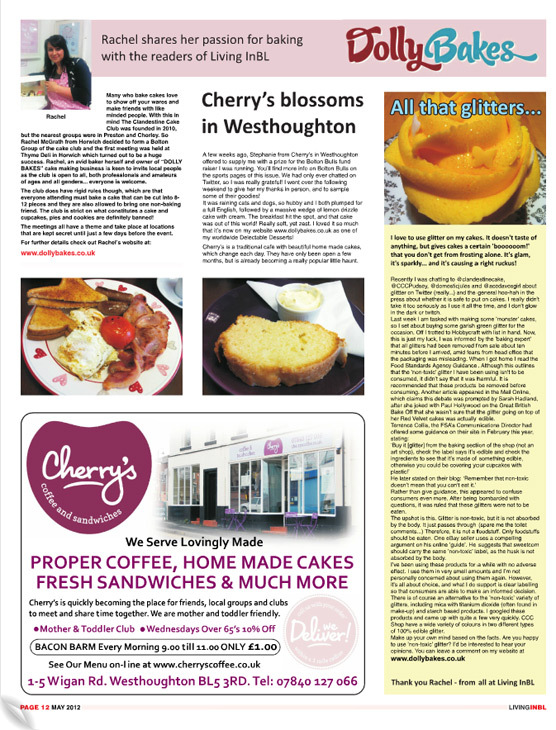 There are details of some fabulous offers in the Bolton West area, so make sure you pick up a copy from either Thyme Deli on Winter Hey Lane, Tesco Horwich, Sainsbury's Westhoughton and Co-op Horwich, Westhoughton and Adlington. Or, you can read the May edition online now! There is also a great article in there by our very own Mrs Petticoat and a fab piece on my friends at the Bolton Bulls. Lovely to see a nice big advert for my new pals at Cherry's too! What's going on in the next edition? I think Russ Abbot captured it best when he said "I love a party with a happy atmosphere". The minute you walk through the door of Lucy's, you cannot help but notice the lovely atmosphere about the place. From the homely trinkets to the colourful hand written dessert boards. 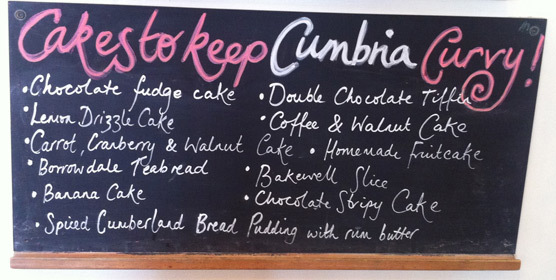 We thought we would combine the reservation with a little day trip to Ambleside. It's an utterly stunning place. Lake Windermere is just down the road, it's full of pretty tea rooms, traditional pubs and unique shops and it was glorious weather! We couldn't believe our luck. We booked in for 12pm, but owing to my OCD about timekeeping, we arrived at 11.30am. We were seated and the waitress explained that the daily specials menu would also be available from 12pm. We met Lucy whilst we were waiting. She is everything I imagined. Warm, enthusiastic and passionate about all the food they serve. She's a fan of our very own Thyme Deli too! We sat and had a drink, which gave us the opportunity to read the dessert boards. Yes, pleural. The amount and variety of desserts here is utterly staggering. Everywhere you look, there are more options! All are homemade, so you know the only thing coming out of a freezer is the ice cream. Oh, and this... Forgot to mention that. Needless to say, this was very enjoyable! And the bit we've all been waiting for... the desserts. Lucy claims to be 'Queen of Desserts'. I had to check this claim. It was only fair. I'm not ashamed to tell you that we had three desserts between us. Well, we were testing them! We opted for Lancashire Lemon Tart (a lemon version of a Bakewell tart), Jamie's Wicked Chocolate Tart (passed on personally from Mr Oliver no less) and the Appleby Ginger Pudding (ginger sponge layered with apples). I was actually in heaven! 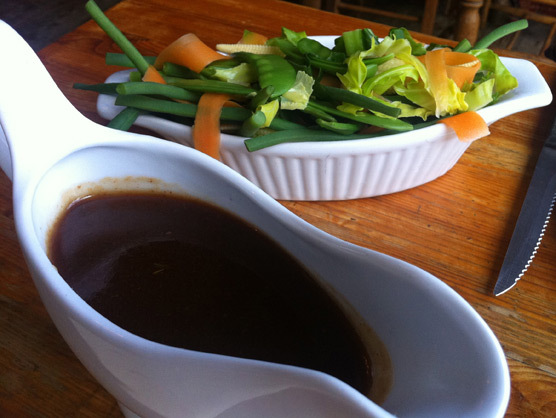 Lucy's is about an hour and twenty minutes from Bolton, and is in the centre of Ambleside. 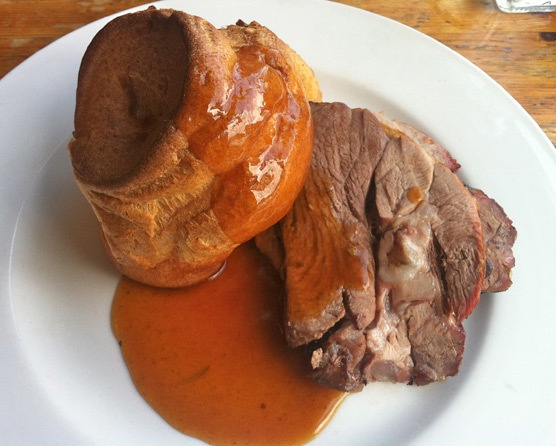 We truly had a fantastic time, and even my savoury favouring husband can't wait to go back! 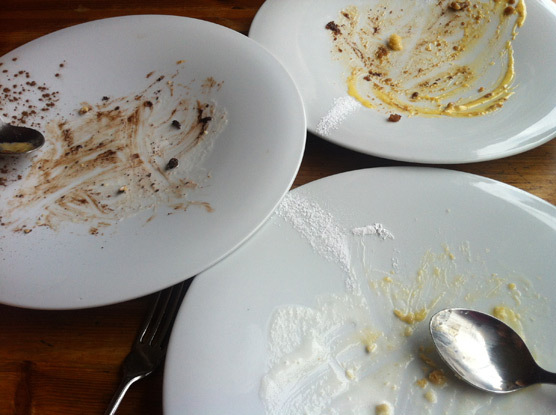 (Note: he was the one who ate almost a whole chocolate tart and most of the ginger pud...) If you like our desserts, you haven't experienced anything until you have been to Lucy's. I cannot recommend them highly enough. Disclaimer: Lucy's did not pay me for this review. I would pay her every day of my life for her desserts, but I would be dead. My favourite day of the month is here again. We've donned our pinnies, fretted over 'whether it's done' and lived through the trauma that is 'cake carriage'. Today was the third meeting of the Bolton Clandestine Cake Club. 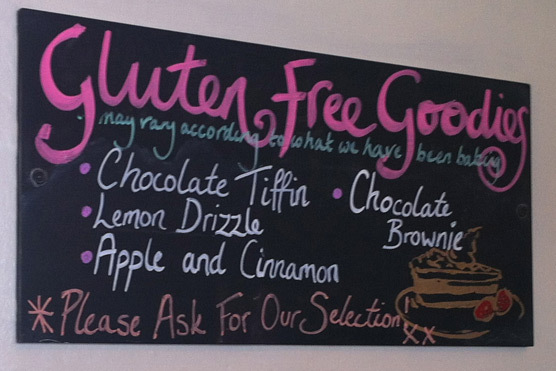 Due to popular demand, I decided to go back to Thyme Deli as Amanda and her team are such amazing hosts! I can confirm that lots of Fentiman's pop was consumed, fancy tea brewed and beautiful cookware was purchased. Today's theme was the Great Village Show, so I asked members to take the traditional show categories as inspiration for their cake. This might include jams, fruit, flowers, a well presented sponge or indeed best beast! The Bolton members are a creative bunch, and didn't disappoint me! Once again, we had novice bakers, seasoned pros, new members, old friends, people from near, some from afar... but everyone had a great time and ate lots of cake! I must reiterate that we are really not here to judge. 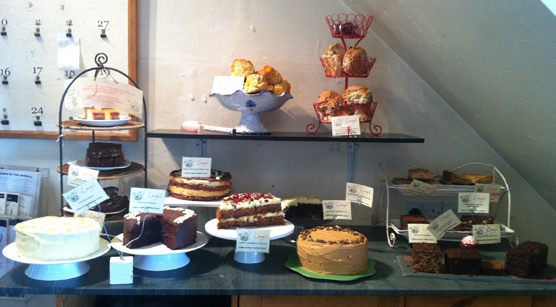 We just like to sit and have a natter over a brew and a slice (or 10...) of cake. At no other place is it socially acceptable to stuff your face with cake - several times in one afternoon, then take a massive box of it home. I took a bit of every cake on the table. Yes, that is over 20 pieces of cake. Hear my roar! 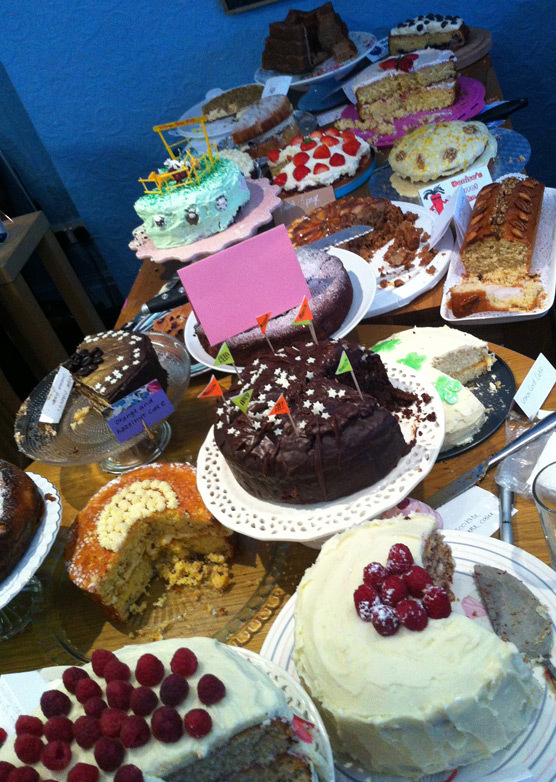 Here is a picture of some of the cakes - there were 22 in total. Thank you to Amanda for once again for the use of her fabulous venue, and not minding that we covered her floor in crumbs. Again. And of course, thank you to her husband and two boys who 'dealt' with the leftover pieces of cake. Good work boys. Warrior-like behaviour. If you've never been to Thyme, you really must pay them a visit. They do the best full English this side of the Pennines and stock an amazing range of deli goods too. When is the next meeting I hear you all cry? Well, it is on 9th June and the theme is 'All Rise... The Diamond Jubilee'. And... I have booked the July one as well! This is on 21st July and the theme is 'Sweets for my Sweet'. Email me at dollybakes@gmail.com to book your place. Thank you to everyone who came for putting in so much effort and for loving our little club as much as I do! Cake ache has well and truly set in. And just for the record, eating chips when you get home is not a remedy. Definitely not. Members - please leave your best bits below! All - please feel free to leave comments. Baking Problem Solver: The Science Bit! Knowing how something works is usually the first part of mastering it. Take learning to drive a car. On your first lesson, your instructor will explain how the car is powered and how the gears work. Only then do you learn manoeuvres. I've had several conversations recently that have included the woes of a failed bake. Although I like to experiment with my baking, I am also an insufferable perfectionist who takes failure badly. Therefore, I do everything I can to minimise the chances of this happening. Knowing a bit about the science of baking will reduce mishaps, and help you to minimise the damage when they do happen! Garbage in, garbage out. You can't expect a wonderful, fluffy cake to emerge from a bowl of ingredients whacked together in any old fashion. How you treat the batter is just as important as what you put in it. 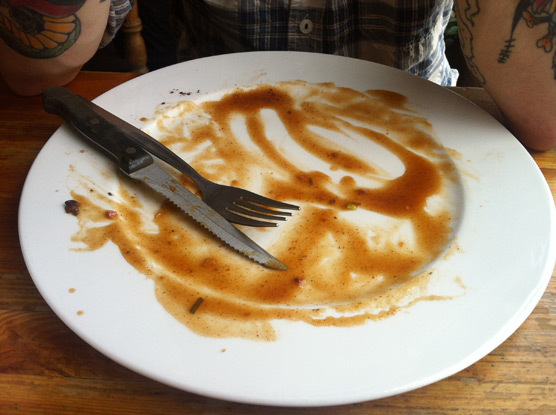 It's also useful to know how 'batter' becomes your finished masterpiece! Know your oven - use an oven thermometer. Oven temperatures vary massively, so it's well worth investing in one. They are about £5 from cook shops, but will save you a fortune in wasted ingredients in the future. Place on the shelf as you preheat, and only pop your cake in when the desired temperature is stable. 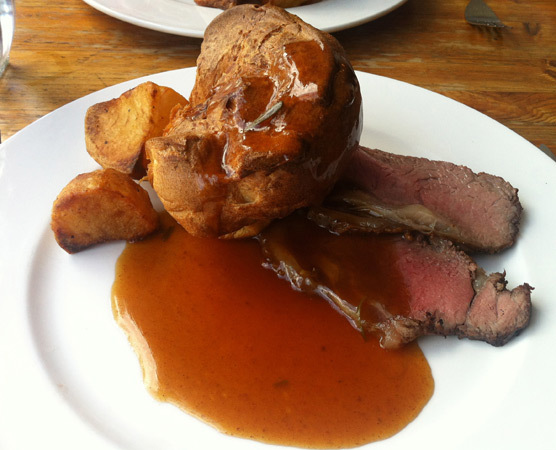 Remember, fan ovens are hotter than conventional ones, therefore a thermometer is essential. Use the middle shelf in your oven. This is the optimum place for rising and browning. Gas oven temperatures vary from shelf to shelf. For example, gas 4 on the middle shelf is about gas 6 at the top if not a little more. Gluten protein in flour is activated when moisture hits it. This process needs maximising in bread via kneading, and minimising in cakes by stirring flour in gently. Cakes 'set' because of the protein in the eggs. 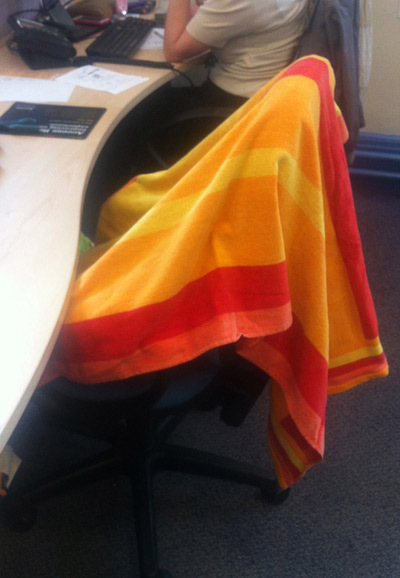 This chemical process happens when heat is introduced. If a recipe tells you to cream your butter and sugar, make sure they are beaten for about 5 minutes and look much paler and fluffier. This is how you add air! Under-creaming will mean a dense cake. Sugar tenderises cakes because it dilutes protein in gluten. Grease and flour your pan/tin. This creates a protective layer between the batter and tin which allows for easy release. I use a release spray, but I've heard good reports from both oil and melted butter too. Make sure it's cooked before taking it out of the oven! Sounds simple, but if the mix is still a bit soft you are more likely to lose bits to the tin. The cake should feel firm, a skewer should come out clean and the cake should be slightly shrinking away from the sides of he tin. Let it cool. As cake cools it gets firmer. Firm cake means a more robust cake. To release, cover the tin with a large plate and flip over quickly, giving a quick shake if it doesn't come free immediately. 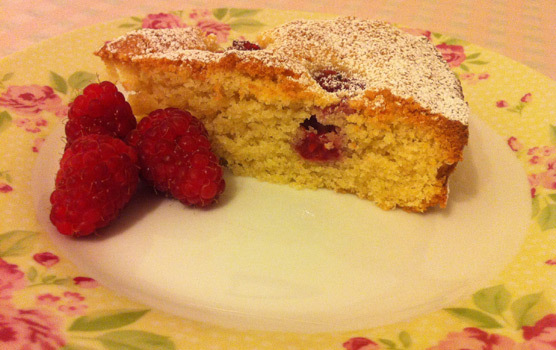 Cake is flat as a pancake or very dense - either not enough air has been whisked in at the appropriate stage e.g. creaming or there has been too much gluten formation caused by over-beating the mixture after the flour was added. 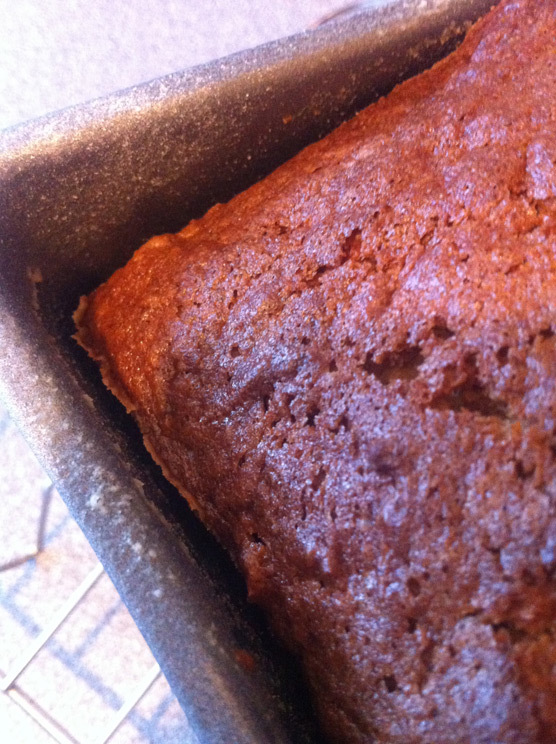 Cake has a peak in the middle - the oven was too hot causing raising agents to go bananas. Perhaps the oven is hotter than you thought or the cake is too high inside the oven. It can also be caused by too much flour. Cake has sunk - this is a very common one. This is usually caused by undercooking, so make sure you follow the tips above for testing when a cake is done. This includes opening the oven door whilst the cake is still vulnerable! Leave it until it is at least 75% cooked before even contemplating testing! 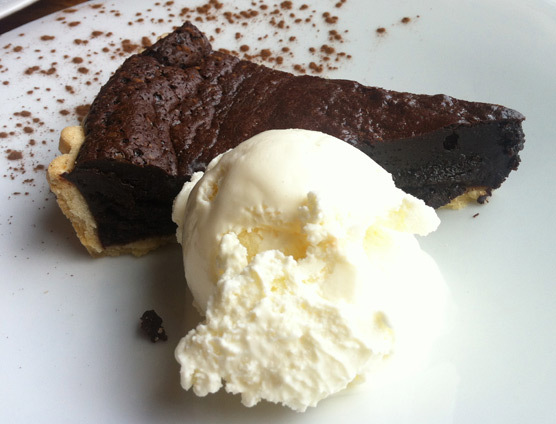 A gooey centre is proof of undercooking. However, too little raising agent or too much flour will also weigh your cake down. Cake is dry as an old bone - most of the time this is caused by over cooking. It can also be caused by too much egg and/or flour or not enough liquid. Tunnels of air or large air pockets - this is caused by excessive gluten protein formation because of over-beating your mixture. Gently does it. 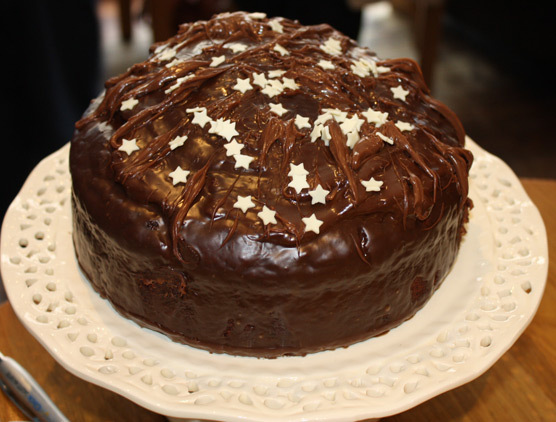 Cake is very dark in colour - apart from the obvious overcooking, this can also be caused by a dark tin or high sugar content. 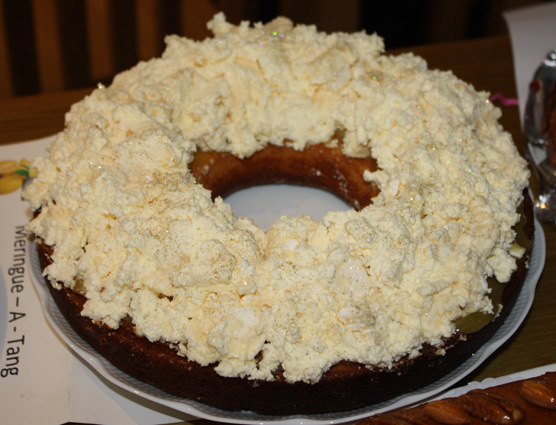 A lot of bundt recipes produce a dark crust. This is because of their high sugar content. Cake keeps sticking to the tin - make sure you either line your tin with baking paper (e.g. sandwich and loaf tins) or grease and flour (e.g. intricate designed tins). This will stop the cake adhering to the tin and wrecking it on release. Also, don't take cakes out of the tins immediately. They should have at least ten mins to firm up first, with bundt cakes taking longer. And lastly, make sure the cake is fully cooked! If you have any cake queries of your own, feel free to ask! I've been looking for some wall art for the kitchen for a while now, but wanted something food related. Not a tough ask eh? Wrong! Then I stumbled across this at Not on the High Street. 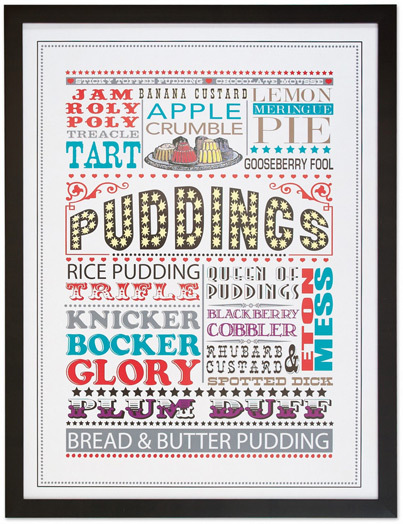 It includes all my favourites like cobbler, rice pudding, jam roly poly and sticky toffee pudding! How fantastic!? They have some absolutely beautiful wall art, some of which is custom made to include names, places etc. Mine's sitting above the cooker! Not on the High Street have also been very supportive with the pop up I am organising with Mummy's Little Peeps to raise money for Bolton Royal Hospital's Special Care Baby Unit. They kindly donated these beautiful vintage style Green Gate cake tins. Buy a raffle ticket on the day for a chance to win these beauties! Join us here. 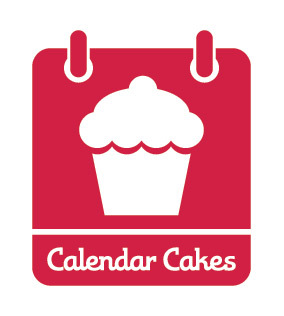 Have a look at their site, there's everything from home ware to wedding cakes! Disclaimer: Not on the High Street did not pay me for this review. I did it because their site is truly fantastic! Cupboard hell to storage heaven!